Jennifer Lopez made a surprise appearance this past week on The Tonight Show starring Jimmy Fallon. J-Lo was on hand to do the “tight pants” dance with Fallon, a showdown to see which dancer has the tightest pants in town. 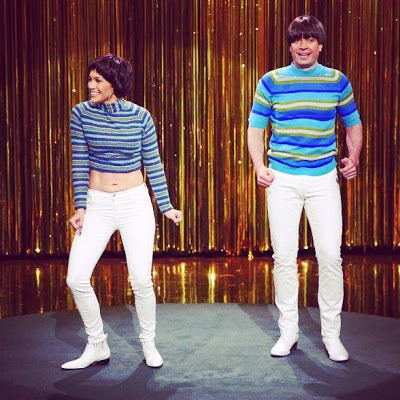 Fallon has previously held the tight pants duel with actor/comedian Will Ferrell. Lopez will release her eighth album, “A.K.A.”, on June 17.